Why is exercise important? There is a common misconception that, if you are slim, you don’t need to keep active to stay healthy. But regular exercise is important for everyone, not just for those people who are carrying extra weight. Our bodies are designed to be in motion; they are not intended for a sedentary lifestyle (which is more and more common in the modern age of TV, computers and gaming). They crave physical activity and need this in order to thrive, stay strong and function properly. And this message has arguably never been more important or pertinent than it is today, as cases of obesity in both adults and children continue to rise. Regardless of your age, gender or circumstances, a lifestyle that includes regular exercise of some form is an essential component of maintaining a healthy mind and body. Of course, the precise type and frequency of exercise will depend on what is right for you, taking into account your current fitness level, abilities, state of health etc. The key is to avoid inactivity; even some exercise is better than none at all. How can exercise support general health and well-being? If a balanced diet is one side of the coin for a healthy mind and body, exercise is the other. Not only can it help to improve the appearance of your body (through weight loss, shaping and toning), more importantly, it also has benefits that are more than just aesthetic. For example, while resistance and weight training is often seen as being only for bodybuilders or gym fanatics, they can help to strengthen the body. 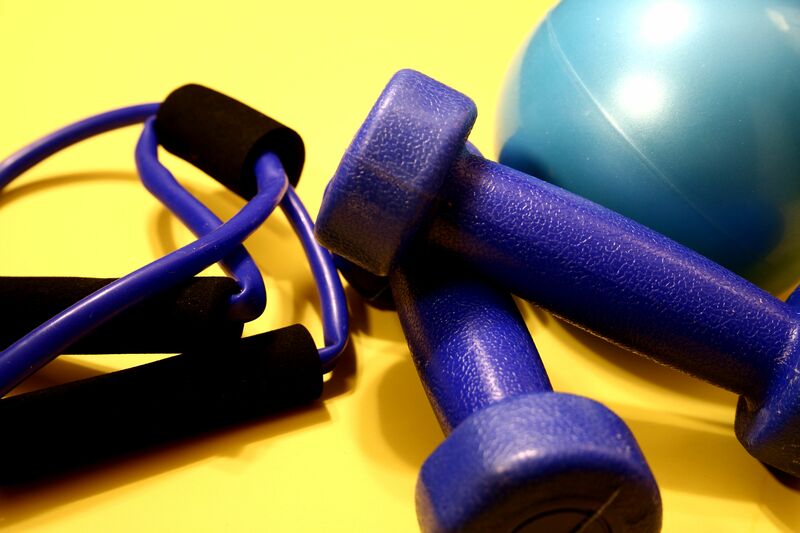 Not only does exercise improve your bone health, it also helps to increase muscle strength, coordination and balance. Great for the elderly, as well as for those with back problems, osteoporosis or arthritis. 3. contractions of surrounding skeletal muscles during exercise! This can increase lymph flow by as much as 10 to 15 times. The lymphatic system is arguably the body’s first line of defence against disease. By keeping it flowing efficiently through regular exercise, you can help to keep your toxic load down and your immune system strong. Exercise also has a more direct impact on the prevention, management and treatment of a wide range of health conditions, including everything from heart disease and stroke, to Type 2 diabetes, obesity and hypertension. It can also help to improve circulation, bringing new fuel and energy to every cell. Amongst other factors, your weight is dependant on the balance between the number of calories consumed each day, versus the number burned. The main way in which exercise can assist with weight loss is therefore through the burning of additional calories. Both aerobic and weight bearing exercise can achieve this. Similarly, exercise can affect the body’s metabolism. When we exercise and eat healthily, our metabolism has a tendency to speed up and burn off excess calories and fat that it would not otherwise do during periods of inactivity. Unfortunately, most people only start to think about making exercise a part of their daily routine when they want to lose weight or when a health issue arises. And even then, many slimmers totally overlook the key role of physical activity in helping to shed pounds, keep their weight down for good and stay healthy. Instead, they focus only on their diet (or more often, calorie intake and measurements). Similarly, they see exercise as a short-term solution which doesn’t need to be continued once the target weight has been attained. But sensible weight loss, and a long-term healthy lifestyle, is about so much more. In fact, a 2006 study (Weiss et al) undertaken by Saint Louis University in the USA compared the effects of exercise versus diet alone in losing fat. Although both sets of participants lost weight, only those slimmers who also undertook exercise managed to maintain their strength and muscle mass and increase their aerobic capacity. By contrast, those who dieted alone lost muscle mass, strength and aerobic capacity. Research consistently shows that regular exercise, combined with a balanced diet, is the most efficient and effective way to manage your weight and stay healthy overall. If you are new to physical activity, it is important to take things slowly and, if necessary, consult with your physician or other qualified health practitioner before implementing radical changes to your diet or starting a new exercise regime. A balanced diet and regular exercise should be viewed as long-term lifestyle changes and, therefore, there is no need to rush into anything or go to extremes in a short space of time. For many people, a sample meal plan and tailored training program can offer support and guidance in the early stages. A dietician, nutritionist and/or personal trainer would be able to assist with this. Similarly, you might choose to get some extra support in the form of health foods and supplements, in order to help enhance your performance, improve your results and attain your goals in the shortest time. There are a number of natural health supplements that are designed to support the body’s own natural weight loss processes, such as thermogenic fat burners and ‘carb blockers’. Similarly, there are products that can support both slimming and athletic performance, such as plant-based protein powders. Find the right products, and use them in the right combinations, to boost your own diet and exercise efforts. Many slimmers find that nutrient-fortified meal replacements are particularly beneficial. This is because not only can they provide a low-calorie source of vitamins, minerals and other nutrients that are essential for healthy weight loss, they can also supply a high level of lean protein. This is important in terms of maintaining and increasing muscle and bone mass, for tissue and cell repair, for keeping the immune system strong and for preventing fatigue during the weight loss process. What’s more, as protein can assist in the repair and growth of muscle, this tends to mean that more calories are burned each day. Higher-protein diets may also help people to gain better control over their appetites and calorie intake, help them to regulate their blood sugar levels and reduce cravings. « Previous Post When Is 50MPH A Great Speed? Next Post » Could I have a food intolerance? Fitness Friday: Inflammatory bowel disease – Have you got an angry gut?